In size and scope, as well as organization and literary style, Moses Maimonides‘ Mishneh Torah ranks among the greatest and most innovative Jewish legal texts of all time. In its own day, the Mishneh Torah was ground-breaking for its novel system of codifying halacha (Jewish law), and in the more than 800 years since its composition, the Mishneh Torah remains matchless in its lucidity and breadth. To read the Mishneh Torah in Hebrew and English, click here. 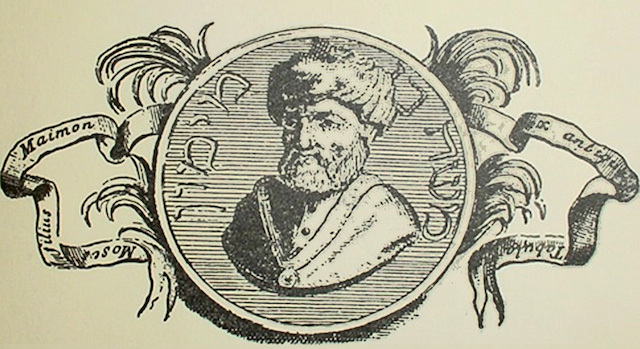 Moses ben Maimon (also known as the Rambam, 1135–1204) — physician, philosopher, rabbinic authority — was a towering figure in the world of Jewish scholarship even before he composed his halachic masterpiece. As a young man, he wrote a commentary on the Mishnah, commentaries on several tractates of the Babylonian Talmud, and another composition (most of which has been lost) focusing on the legal elements of the Jerusalem Talmud. Later in life, he wrote his philosophical classic, the Guide of the Perplexed. Yet the Mishneh Torah was the work Maimonides himself deemed his magnum opus (“Hibbur Ha-Gadol“). By his own account, Maimonides invested ten years of incessant drafting, revising, and editing in this tour de force, which was finally completed in 1180. The Mishneh Torah (literally, “Review of the Torah”) was conceived as an all-inclusive halakhic compendium, a guide to the entire system of Jewish law. Maimonides was explicit about his reasons for undertaking an encyclopedic work of such magnitude. He noted that the trials and tribulations of life in the Diaspora had deprived scholars and laymen alike of the ability to understand and assimilate the vast talmudic literature and the essential rulings of the geonim (the leaders of Babylonian and North African Jewry); consequently, Jews were unable to discern or properly observe the law. In its comprehensive scope, its pragmatic style, and its systematic classification, the Mishneh Torah was designed to simplify the process of study and to make the law accessible to all. The Mishneh Torah is introduced by Sefer Ha-Mitzvot (“Book of the Commandments”), which Maimonides actually wrote some years earlier, in preparation for drafting his code. In Sefer Ha-Mitzvot, Maimonides enumerates the traditional 613 mitzvot of the Torah, dividing them into positive and negative precepts, and elaborating upon the rationale behind his system of classification. The Mishneh Torah itself comprises 14 sections, arranged thematically, which encompass the range of Jewish law, from torts to ritual worship. In later years, the work was called “Yad Ha-Hazakah,” (“The Mighty Hand”) which alludes to the 14 books that make up the code, as yod and daled, the letters of the word “yad,” represent the number 14. Sefer Ha-Madda (The Book of Knowledge), which examines the fundamentals of Jewish faith. Sefer Ahavah (The Book of Love [of God]), which covers prayers and blessings. Sefer Zemanim (The Book of Seasons), which is devoted to the Sabbath and holidays. Sefer Nashim (The Book of Women), which deals with family law, including marriage and divorce. Sefer Kedushah (The Book of Holiness), which includes sexual prohibitions and dietary laws. Sefer Hafla’ah (The Book of Utterances), which treats subjects such as oaths and vows. Sefer Zera’im (The Book of Seeds), which deals with agricultural law and other commandments effective in the Land of Israel. Sefer Avodah (The Book of Temple Service), which focuses on Temple worship. Sefer Korbanot (The Book of Sacrifices), which details the laws of sacrificial offerings. Sefer Taharah (The Book of Purity), which is devoted to the rules governing ritual purity. Sefer Nezikin (The Book of Damages), which focuses on property damage and personal injury. Sefer Kinyan (The Book of Acquisition), which deals with property rights and includes sections on sales, neighborly relations, and partnerships. Sefer Mishpatim (The Book of Civil Laws), which includes hiring, borrowing, loaning, and inheritance. Sefer Shofetim (The Book of Judges), which covers the legal system, the political system, and mourning. Each book is divided into sub-sections by topic, and each topic is reflected in the sub-section’s title, as in “Hilkhot Shabbat” (“The Laws of Sabbath”), which is included in The Book of Seasons. The sub-sections are internally divided into numbered chapters and paragraphs. The format of the Mishneh Torah was among its most innovative features. Prior to Maimonides, halakhic writing followed either the order of the Torah, whose organizing principle is difficult to discern, or the order of the Talmud, which is not entirely logical in its classification or sequence. The organization of the Mishneh Torah into books, sub-sections, chapters, and paragraphs was inspired by the similar format of the Mishnah, yet deviates from the specifics of the talmudic arrangement, which Maimonides found lacking. In reflecting upon his own organizational principle, Maimonides held both logic and pedagogical instincts responsible for his ultimate choice of arrangement, which was dogmatically topical. Indeed, he considered the Mishneh Torah‘s original design and its successful implementation to be among the greatest achievements of his work. 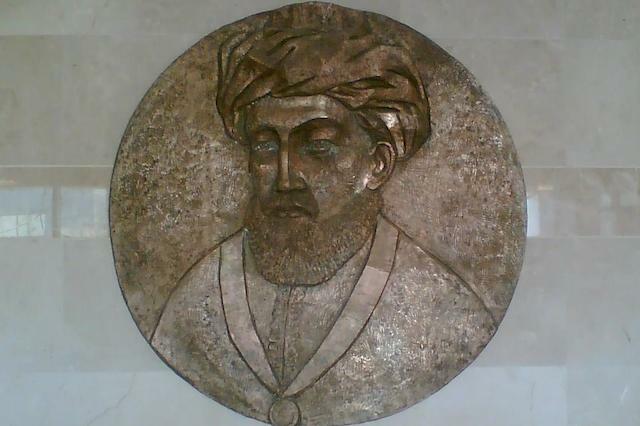 In promoting his magnum opus, Maimonides emphasized the comprehensive, all-inclusive nature of his work, a feat of scholarship which had not been attempted since the composition of the Mishnah. He envisioned his work as a library of Jewish scholarship and suggested that one who studied his code would have no need of consulting other books. Determined to combat widespread neglect of the theoretical and non-functional branches of the Oral Torah, Maimonides incorporated these “academic” topics into his code, in the hopes that their simplification would inspire renewed interest. Indeed, a striking feature of the Mishneh Torah, which was presumably intended as a guide to practical knowledge and observance, is the inclusion of entire realms of halakha not applicable in the post-Temple era or outside the Land of Israel, such as the laws of sacrifices and those of agriculture. In drafting the Mishneh Torah, Maimonides purposefully omitted bibliographic citations and excised all traces of talmudic debate. Although every paragraph of the Mishneh Torah draws upon a multitude of relevant biblical, talmudic, and geonic sources, Maimonides referenced none of these, choosing instead to present the law as a uniform whole. He similarly neglected to attribute legal opinions to their talmudic authors, even when he himself ruled in accordance with one position over another, preferring to create the impression of an undisputed legal tradition. The goal of this unconventional approach was to simplify, condense, and increase accessibility, yet it drew harsh and unforgiving criticism from Maimonides’ opponents. Indeed, despite his renown as a God-fearing Torah scholar and intellectual giant, Maimonides encountered fierce opposition to his publication of the Mishneh Torah, mainly in response to its innovative halakhic methodology. Rabbi Abraham ben David (RaBaD) of Posquières was his most passionate opponent; his critique centered on Maimonides’ failure to cite his sources or to preserve the names of talmudic sages. Others accused Maimonides of attempting to supplant the Talmud and of weakening the chain of tradition. The Mishneh Torah elicited controversy not only during the course of Maimonides’ own lifetime but for several generations thereafter. That is not to say that Maimonides’ work went unappreciated. The Mishneh Torah was widely disseminated throughout the Jewish world within years of its publication, and it drew immediate praise from many quarters. Maimonides merited the sort of acclaim reserved for the champions of the ages, eliciting comparisons to the heroic Rabbi Yehudah the Prince, redactor of the Mishnah, and to Moses himself. Few who encountered the work remained unaffected, and the Mishneh Torah inspired the composition of more commentaries than almost any other piece of halakhic literature. Although the Mishneh Torah did not achieve the status of a definitive code or displace the classics of Jewish scholarship, it undeniably changed the landscape of halakhic study and practice. Virtually no subsequent halakhic work neglects to reference Maimonides, and the influence of his masterpiece on the field of Jewish law can hardly be understated. The most widely read Jewish Bible commentator, he also wrote a running commentary to the Babylonian Talmud.